Last month I met Grandpa Bob for the first time. He is the grandfather of my soon to be son-in-law Matt. Bob is a very spry and active octogenarian with a keen wit and great smile. After the usual introductory pleasantries, we talked about where we were from and what we did for our livelihoods. Bob was a WWII Navy Veteran. He served in the South Pacific and saw action at Iwo Jima. He is a retired insurance salesman. Of course my vocation is seed. Upon hearing I was in the seed industry, he asked what I thought about genetically modified organisms, more commonly known as GMO. This won’t be the last time I will be asked about the ongoing GMO/ Non-GMO “conversation” going on in the marketplace. We are all fielding this question at family gatherings and backyard barbeques. As I explained to Bob, even within our industry we have many differing opinions on the suitability and economic benefits of GMO seed. The differing opinions within Agriculture mirror the diverse and in some cases polarized groups outside of Ag that promote or attack GMO’s in the seed. I didn’t know Bob’s position on GMO’s when he asked his question. He sounded skeptical of the companies who developed GMO’s as being trustworthy as to their safety. A grain of skepticism is understandable and even healthy in my opinion when science challenges us with such revolutionary new thinking about how our food is produced. We should each investigate this issue for ourselves. Overlooking FC 808 Genuity® SmartStax® RIB Complete® Corn Blend behind my house last week. I answered Bob by telling him we are an independent seed company. Our company sells GMO and Non-GMO seed. 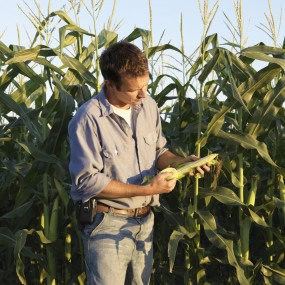 We provide both options because we understand different farmers manage their acres differently. It is not a case of one being the superior path for every farm. Our company does not extract more profit from one option or the other. Even though our profit perspective is neutral at our independent company, we are not neutral on the subject of a farmer’s freedom to choose from both GMO and Non-GMO seed opportunities for their farms. In May, Vermont became the first state to mandate the labeling of GM, genetically modified, ingredients in food. Similar measures have been defeated in California and Washington State over the past two years. Other states are also studying this issue. The Vermont law, if it goes into effect in 2016, will increase food costs for the citizens of that state. Proponents of the law argued there was not scientific consensus on the safety of GMO’s. They argued consumers should be able to avoid GM ingredients if they wish to. Thus, the GM labeling mandate passed and has been signed into Vermont law. I think that the motive of those seeking to label GM engineered food is to eliminate them from the marketplace. A label singling out genetic modifications on ingredients implies they are unsafe. 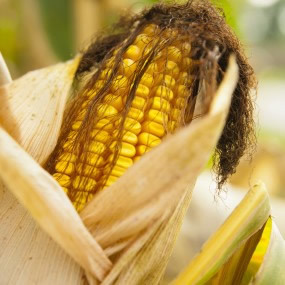 Some food marketers will vilify GM components for financial gain. They will exploit the uninformed with their advertising dollars and could increase food costs for all of us. If successful, this will limit farmer’s freedom to use these great technologies. I support voluntary labeling. I do not support labeling mandated by the government. Simply said, “GMO’s are safe and labeling requirements should not be mandated by the government for safe products.” This is the message I gave to Bob. As I reflect on our conversation these weeks later, our industry faces a challenge to communicate these 2 simple connected ideas. GMO’s are safe. Safe products should not be labeled. Science has repeatedly validated the safety of GM engineered food we have been consuming for over a decade. The complex science has been studied and the safety of GM engineered food is a settled issue. The National Academy of Sciences, Britain’s Royal Society, The American Medical Society, the World Health Organization and many more third party independent panels have repeatedly studied this controversy and have determined GM engineered foods pose no human health risk. In spite of the sound science that has been repeatedly studied and ruled safe, the vocal anti-GMO groups continue to spread misinformation. Science will win this debate. Even with the Non-GMO noise that vilifies GMO seed the facts are the facts. We cannot raise enough food without GMO’s. They will dominate agriculture in the decades ahead. Food companies will adopt them and I am convinced GMO’s will win out in the end. Those of us in Agriculture have a responsibility to inform those outside our industry that GM engineered foods are safe and mandated labeling is a bad idea. So, how do we answer Bob at the family gathering or the folks you encounter in the social circles you navigate in? First, those of us in the Agriculture industry must be informed and prepared to articulate our position on this issue. Secondly, direct the discussion to the science. Misinformation and superstition spread by a vocal minority will be revealed for what it is. As complicated as the science is, there is ample accurate reporting in reputable science journals and publications to point to. It just takes a little homework on our part.